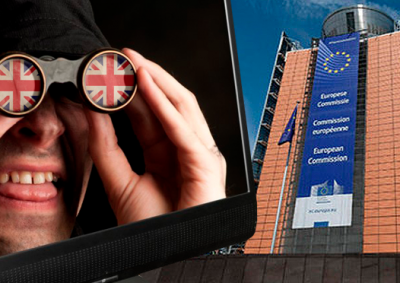 Just after midnight on 16 August, I was called by LBC in London for a comment on a breaking story on the front page of The Daily Telegraph about British spies hacking the EU. A radio interview is always too short to do justice to such a convoluted tale. Here are some longer thoughts. But that was then and this is now. On 1st January 2017 the UK government finally signed a law called the Investigatory Powers Act, governing the legal framework for GCHQ to snoop. The IPA gave GCHQ the most draconian and invasive powers of any western democracy. Otherwise known in the British media as the “snoopers’ charter”, it had been defeated in Parliament for years, but Theresa May, then Home Secretary, pushed it through in the teeth of legal and civil society opposition. I am just waiting for the first hysterical claim that it was the Russians instead or, failing them, former Trump strategist-in-chief, Steve Bannon, reportedly currently on a mission to build a divisive Alt-Right Movement across Europe…..
Annie Machon is a former intelligence officer for MI5, the UK Security Service, who resigned in 1996 to blow the whistle on the spies’ incompetence and crimes. Drawing on her varied experiences, she is now a media pundit, author, journalist, political campaigner, and PR consultant.